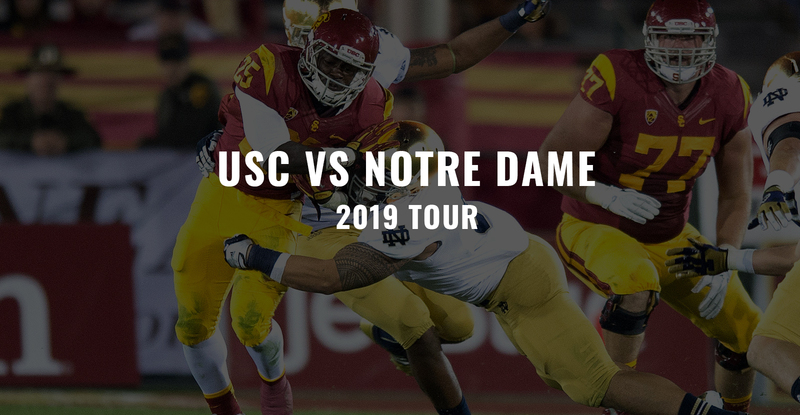 Barker Tours, has been an innovator in sports tours and tickets since 1977 offers another slate of exciting programs for the 2019-20 year. 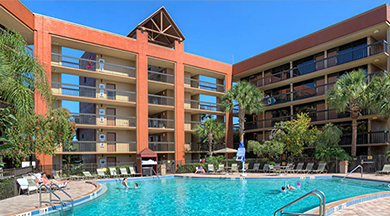 Experience the excitement of the Rose Bowl, the College Football National Championship Game, the World Series, and the ultimate sporting event the Super Bowl. Let us be your guide to excitement and a land of Paradise. For the Theatre and Arts buffs Barker Tours has your front row tickets for all the top concerts across the nation. Of course Barker Tours is your source to the best Airfares for all your leisure and business travel. 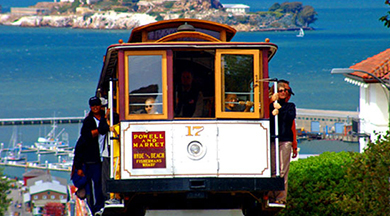 Barker Tours, takes you to San Francisco, California on Jan 7th, for the College Football National Championship Game. 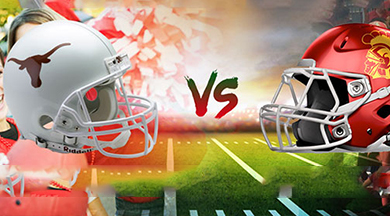 This years game at Santa Clara’s Levi Stadium will pit.. This matchup between 2 of college football programs with great fan bases will take place September 1, 2018 in Orlando, Florida. 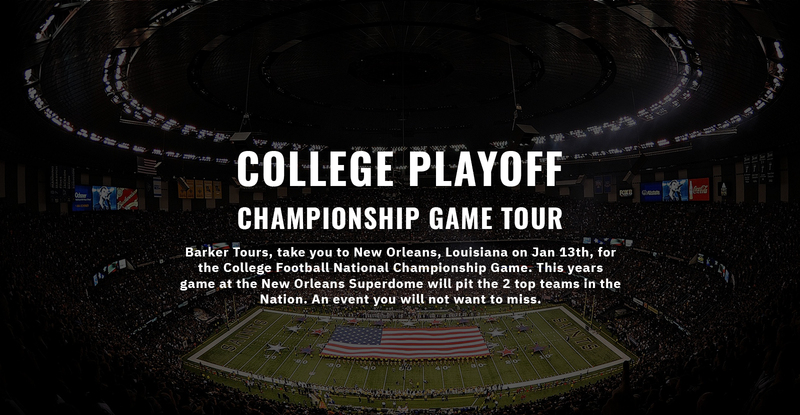 This Crimson Tide versus Cardinals game will be..
BARKER TOURS, The quality tour specialist, offers a program to be remembered. 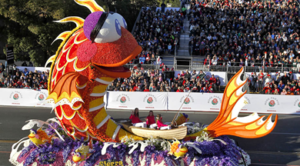 Pasadena, California will be the place to be on January 1st to waltz out the old year and roll in the New Year. 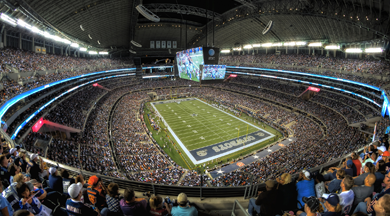 Barker Tours, takes you to Dallas, Texas on Dec 29th, for the Cotton Bowl Game. 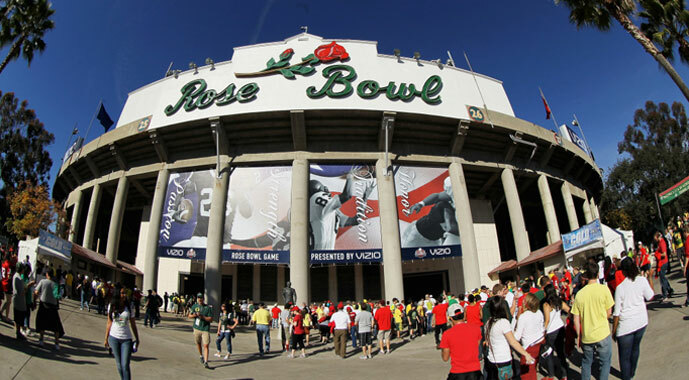 This years game will pit the 2 top teams in the nation in the College Football Semi-Finals. An event.. This matchup between 2 of college football storied titans will take place September 15, 2018 in Austin, Texas. This Trojans versus the Longhorn game will be the second game in a home and home..
"Everything was so well cordinated and organized. 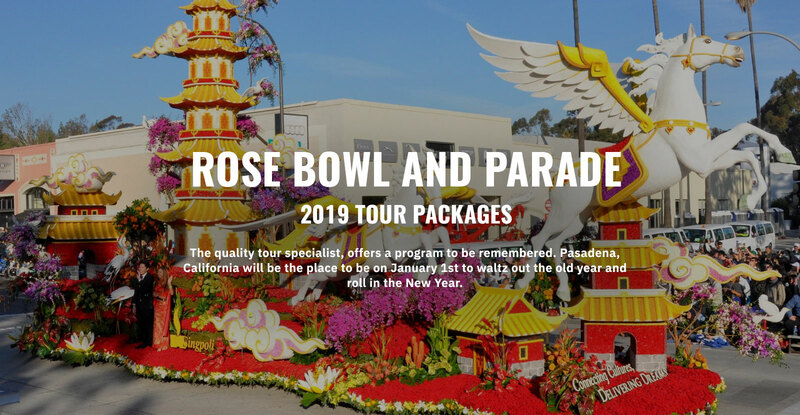 It was very well appreciated that you were able to customize our packages"
"Barker Tours Rose Parade Seats were much better than the Official Alumni Tour Tickets. We are delighted"
"Thank You for taking well care of my clients while on your tour. Your packages included as much as those priced much higher." "You made a nice addition to my bucket list. The Rose Parade was beautiful. The Parade and Game seats were great. Thank you Barker Tours"